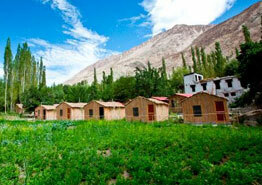 Ladakh Sarai is placed at the foothills of the Indus River surrounded by quaint lush green grounds. 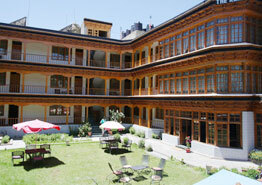 The building of the hotel is just 10 minutes walk away from the main town . 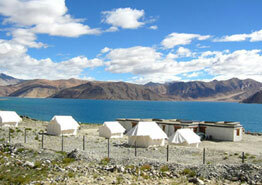 Britishers fond of adventure travelling, Tiger Mountain, had built Ladakh Sarai in 1978. The present-day owners have kept the same feel but have added modern-day facilities. You can enjoy the beautiful view of the valley from your windows. 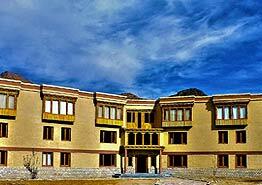 Ladkah Sarai has a total of 22 yurts (Mangolian-styled cottage), which are well-equipped with attached bathrooms with running hot and cold water, Intercom facility in every room, an LCD TV with multiple channel option, Wi-fi accessibility, luggage rooms, laundry service, car rental, parking, laundry services, doctor on call, round the clock room service and power back-up and more.. 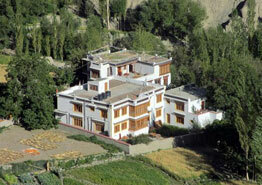 Enjoy the view of the gardens of willow, poplar, apricot and apple trees. They are made-up of local soft- colored fabric, cushioned tapestry ceiling, canvas walls, as well as traditional rugs. 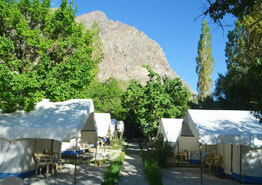 Each yurt is spacious, has two twin beds and a separate sitting area. 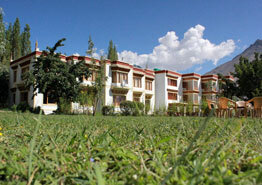 The hotel is popular for serving a variety of cuisines in a first -class dining room called the Green Sarai. 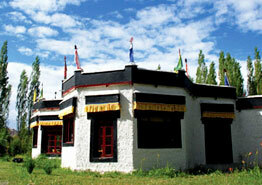 It is a hexagonal building, which is designed in traditional Ladakhi style, with two lounges and a dining room. 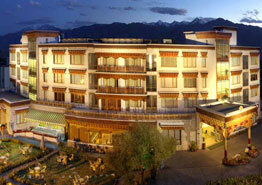 You can enjoy a hot while enjoying the mesmerizing view of the ranges from the huge glass windows. 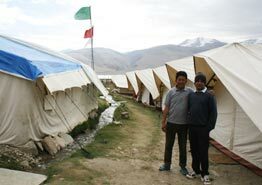 Guests are served Indian, Continental, Mexican, Chinese and Ladakai dishes. A special arrangement for pure vegetarian and Jain meals can also be done. 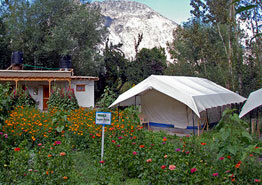 The meals are prepared from the hotel’s organic garden. 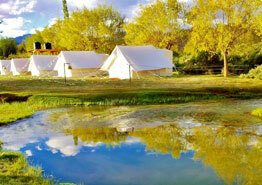 14 beautifully appointed Yurts ( Mongolian style cottage) with attached bath amidst poplar, willow and apricot trees. 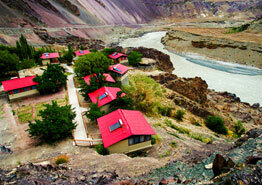 Each room with view of the Stock Ranges and Stok Kangri. All rooms heated with Bukharis between 15th April to 30th June and 25th August to 15th Oct. which works as a terrific heating system. 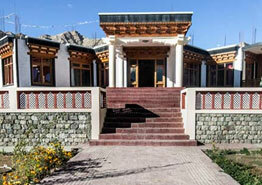 Cuisines that range from Gujarti-North Indian, Continental, Chinese, Mexican and Ladakhi. Two dining and two lounging areas for evening gathering –heated with Bukharis.